Consider this conundrum: the sickest patients can’t get regular medical care. 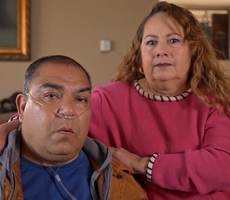 Often homebound, their conditions worsening, they find themselves in life-threatening situations, getting rushed to emergency rooms and landing in hospital beds for extended stays. 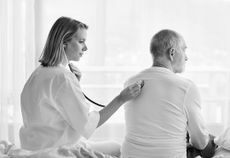 These individuals who suffer from complex health problems and multiple chronic conditions are prime candidates for a new wave of in-home health services. Through a collaboration with home-based healthcare provider Landmark Health, Blue Shield of California and its subsidiary Care1st Health Plan, are offering medical and behavioral care in their members’ homes. The program was rolled out to them earlier this year. In the U.S., about 2 million older adults are so sick they are effectively homebound; another 5 million have difficulty leaving home without help, according to a 2015 JAMA Internal Medicine study. For these individuals, services that ease the burden of traveling to doctor visits have become a crucial component of care. The type and style of services that Landmark offers is a more progressive, comprehensive approach than what is often associated with visiting nurses or the doctor house calls of yesteryear. As Gilliland points out, it reflects how consumers today expect on-demand, personalized services, enabled by new technologies. “What can be delivered in the home is much more sophisticated than what it used to be. The types of diagnostic systems they have available on hand for instance is impressive,” he said of Landmark’s services. Landmark providers don’t replace the role of a primary care physician, but are designed to work in tandem with them. Instead of a quick routine doctor’s visit, an interdisciplinary team is available to the patient, with physicians and nurse practitioners helping with the specifics of ongoing self-care that chronic conditions often require. Members can receive help with a blood sugar test or a breathing treatment, all in a home setting. With a Landmark provider in the home to gauge a patient’s condition, they can recommend adjustments and support primary care physician treatment plans. Because Landmark providers are available 24 hours a day, seven days a week, they can also attend to a patient suffering from pain or a wound that occurred in the middle of the night or weekend. Landmark is currently available for people enrolled in Blue Shield and Care1st’s Medicare health plans in select regions throughout California. 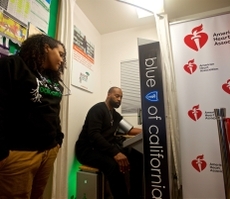 The service will be expanded to members enrolled in Blue Shield’s commercial health plans and Care1st’s Medi-Cal and Cal MediConnect health plans later this year. Though the program has just been rolled out, according to program administrators, initial member engagement has been positive. But the ultimate measure of success, said Gilliland comes down to the core values of healthcare.